Writing a novel has three parts to it and was thinking how they’re each a marathon unto themselves and then I remembered helping a friend train for a triathlon. Aha, better metaphor. Point of reference – the Ironman consists of a 2.4 mile ocean swim, a 112 mile bike ride, then running 26.2 miles. I would write a book, or a short story, at least three times–once to understand it, the second time to improve the prose, and a third to compel it to say what it still must say.Somewhere I put it this way: first drafts are for learning what one’s fiction wants him to say. Revision works with that knowledge to enlarge and enhance an idea, to reform it. Revision is one of the exquisite pleasures of writing. 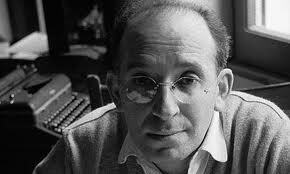 ~ “Long Work, Short Life,” quoted in The Magic Worlds of Bernard Malamud, by Evelyn Gross Avery, SUNY Press, 2001. I’m here to tell you that there are days when it does not feel like exquisite pleasure – it might feel like biking 112 miles under the hot sun! But I have learned to enjoy the process of revision. Tips? Get a few trusted readers and two of them need to have a thorough knowledge of craft. After you’ve done that and been through it at least three times, preferably six, hire a professional editor, but only after you cannot face going through it one more time. You’ve survived two long rigorous events. Now you can rest, right? Oh no, my friend. Now comes the marathon of getting an agent, getting it to print, and promoting it. You may get lucky regarding an agent or publisher – once you’ve honed your craft, it’s about matching up with someone else’s tastes and needs. Again, this is when it’s invaluable to have “training buddies.” Get to know other writers at all stages of their careers who you can call on for advice or guidance. And give back. Don’t make any of your relationships a one way street. You don’t like it – news flash: neither do they. Offer to read and critique other writer’s work. Be kind – you know how hard it is. So that’s our triathlon. Get partners so you can train properly and finish the race. Then, guess what? You get to do it all again and you will know why people sign up for the Ironman with one significant difference. People have many reasons for triathlons and for writing, but unless they are raising money for a cause, triathlons are more about personal goals. Writing fiction is about communication. You have an audience. Now go find it.